The Dominican Republic Surf Missions trip was unforgettable from the moment the group started gathering. The first couple of hours after first meeting, people may be a bit reserved, but it quickly starts feeling like a family. Everybody was frothing over surfing overseas and in a tropical paradise. The group was a good mix of ages (20 to 38), surfing abilities (novice to advanced), professions, and even in our spiritual maturity (doubters to strong Christians). We all had a unique story. During our stay on the north coast of the DR, our accommodations were at Alan’s house in a neighborhood a half mile from the beach. The trip was broken up into 3 segments; first of which was spending time at a beautiful local orphanage in Cabarete. The main projects that our group worked on was demo of a walkway that was affecting underground piping, moving a mountainous wood pile where all kinds of spiders, insects, and rodents lived. 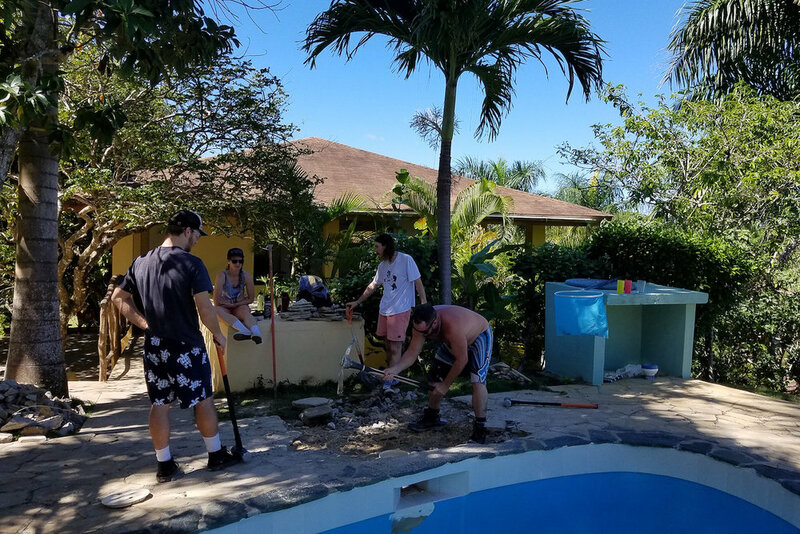 Another group worked on demo and repair of the pool. This was extremely hard work as we were digging through clay and busting up several layers of solid concrete using only a sledge hammer and small hammer drill. On property there was basketball hoops and a skateboard pool. We were stoked to take a break from work and simply play and love on the kids. We were teaching skate tricks in the pool and playing hoops for hours with the kids. Our group also brought over 65 baseball gloves for the kids and we were able to divvy up the teams and play a game of baseball. One of the guys on the trip, Hunter, plays in semi pro ball and when the kids learned of this, they were enamored. Playing baseball took me back to my sandlot days and it was fun playing with these kids as they take the sport ultra seriously. I believe all the kids dreamed of playing in the big leagues someday. 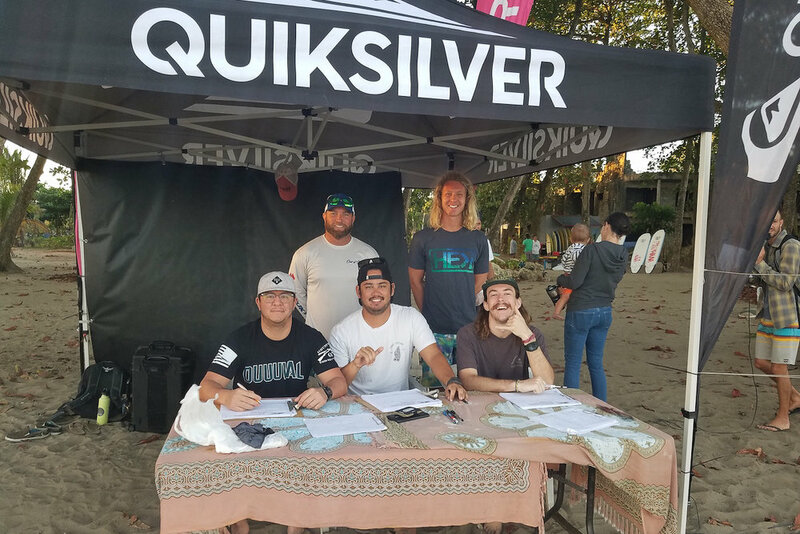 The next two days were spent volunteering at the 9th annual Quicksilver surfing championship at Encuentro Beach, helping serve as judges and spotters. There were over 75 heats in total over the course of 2 days and surfers ranged from mini groms to sponsored pro-am status. Each day the group was there at first light for set up and stayed until late after noon for breakdown. It was super fun meeting the competitors and seeing the love for surfing that the DR locals have for the sport. The last 2 days were surf days, where we traveled to different surf spots and surfed our arms off. 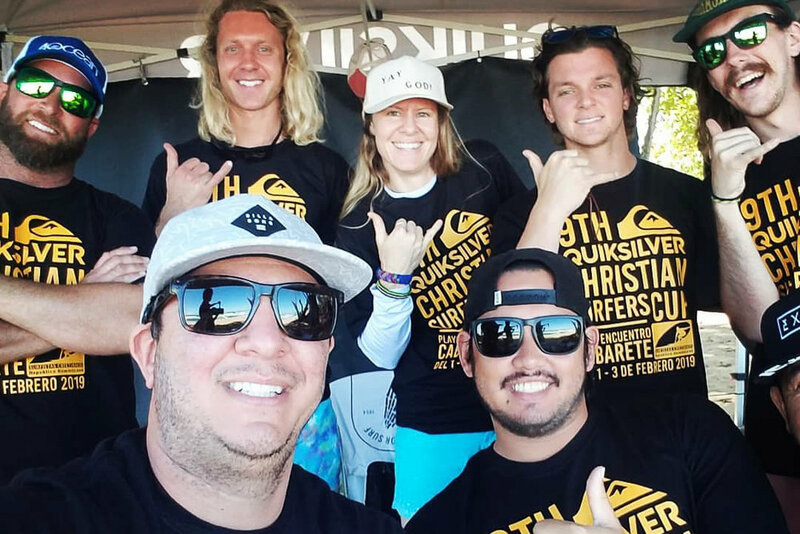 During the entire trip I can honestly say that the surfing was secondary to the real reason for us being there, and that reason was to serve the Lord our God through loving the orphans and serving at the contest. We forfeited surfing great waves during the contest to help run the entire event and our group did it with happiness in our hearts. As a surfer, it is extremely difficult to watch perfect 3 to 5 foot waves break in front of your eyes while other people ride them for hours on end. This said, it brought me joy to see the competitors have the break all to themselves for us to witness surfing at its finest. It wasn’t about me, but about them. The last day, I set off for a solo adventure and went on a canyoning excursion which was absolutely killer. The canyoning tour was deep in the mountains of Cabarete and we had to wear wetsuits, helmets, and harnesses as we belayed down waterfalls, climbed and hiked through rocks in the mountains, and had to jump off cliffs up to 30 feet high and into small pools before we could pass any further onto the next section of the hike. It was nothing short of spectacular.